IFT were instructed to provide solutions to upgrade the existing floor at Audi's Body Shop in Hillington, Glasgow. The existing floor coatings were worn and the client was looking for a new, fresh floor, that would complement the facility. 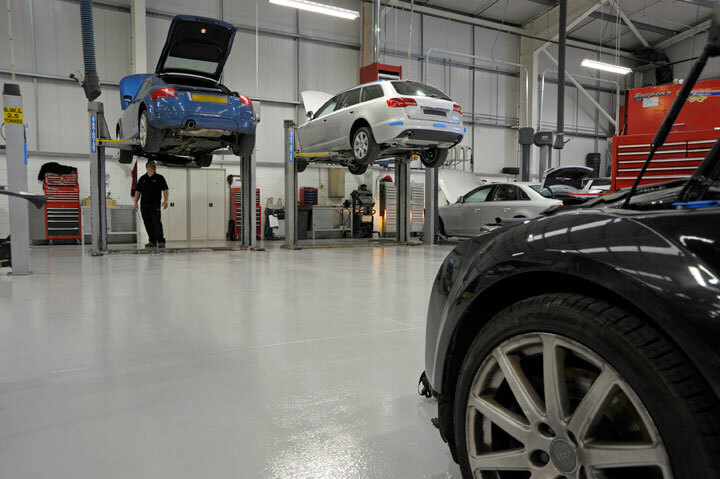 In addition to providing an aesthetic finish the floor needed to be hard-wearing and impact resistant to withstand the daily traffic from the vehicles, as well as providing an easy to clean surface. Our Technical Department met with the client in order to gain a full understanding of their individual requirements, timescale and to provide advice on the most appropriate specification. 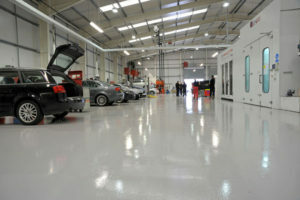 From these discussions a high performance resin coating was chosen as it was seen as providing the required speed of application in addition to providing a floor fully fit for their ongoing purposes. 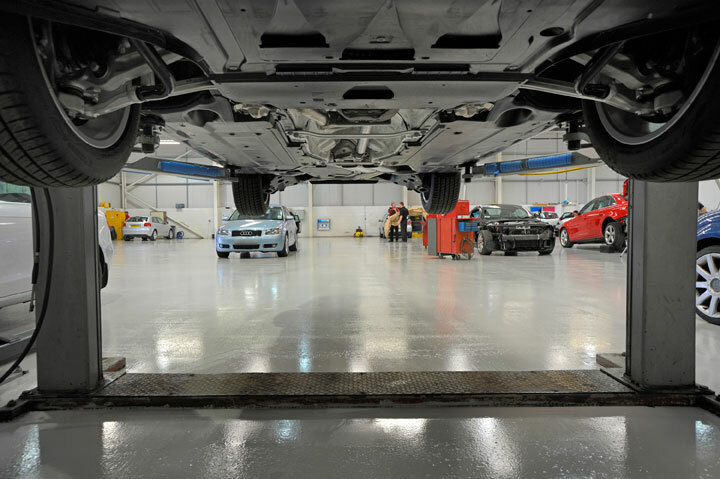 The initial works involved the full preparation of the floor which was carried out by a combination of Closed Circuit Abrasive Blasting and Diamond Grinding. 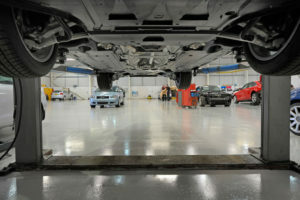 Once complete Flowcrete's Flowcoat SF41 high performance resin coating was installed over two applications. 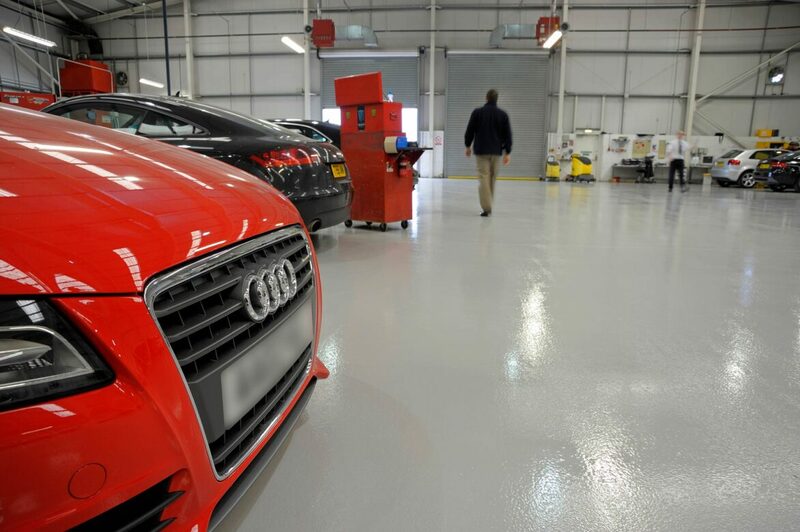 The preparation works and the coatings needed to be applied within a tight timescale in order that the floor would be ready for full operation by Audi. This stringent schedule was achieved through the organisation, skill and experience of our Contracts Managers and resin floor layers. 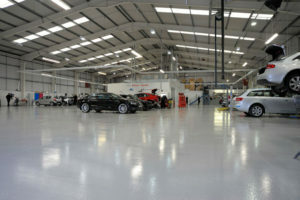 The client was delighted with the finished product and the performance of IFT throughout the process.